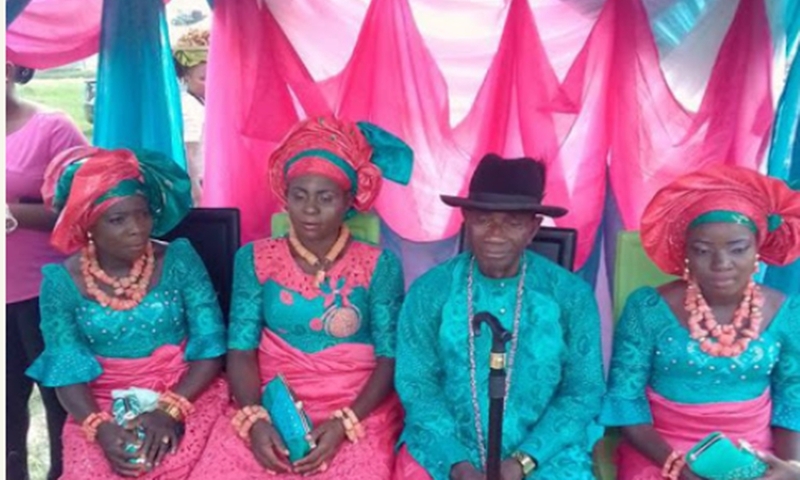 "This young man got married to three women today at okpaka town in Udu local government area of Delta State. This same man is yet to pay the other three left. According to the man, he said he would have paid for the other three today as well but they are stubborn, but he promised paying others soonest. So if your sister is in this situation what will you do or say. This is a true life story."